Tayla Lawrence is the Practice Manager at Developmental Paediatrics. Since joining the team during the early stages of the practice, she has gained a great deal of respect for the learning, behavioural and developmental challenges facing children and adolescents. 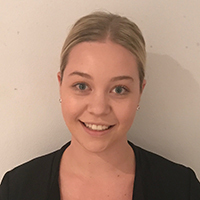 Her career background is working in Radiology and has also completed a Certificate III in Assistance of Nursing and a Diploma of Endorsed Enrolled Nursing in 2013. The central focus of her role is to ensure the highest delivery of patient care whilst performing administrative tasks and providing support to the Paediatricians and Allied Health professionals. She is concurrently undertaking a Diploma of Professional Practice Leadership.